Each patient and each specific circumstance must be evaluated on its own merits. Factors such as occlusion [bite], oral habits, available space, health of the gum tissue, severity of the problem and patient expectation should be taken into consideration when planning your cosmetic makeover. Depending on your individual oral characteristics, there are a variety of choices that all result in excellent esthetic outcomes. For whiter natural teeth, in-office or at-home bleaching [whitening] techniques are available. Repairing teeth or closing spaces may be accomplished with tooth-colored composite resin bonding, porcelain veneers or porcelain crowns. These procedures vary in time and cost and have differences in longevity and appearance. If you’re not satisfied with your smile or want to learn if you’re a good candidate for any of these remarkable techniques, call our Atlanta (Sandy Springs) office for a complimentary cosmetic consultation. Prosthodontics: (crown, bridge, and implants) A Prosthodontist has a dental specialty license pertaining to the diagnosis, treatment planning, rehabilitation and maintenance of the oral function, comfort, appearance and health of patients with clinical conditions associated with missing or deficient teeth and/or oral and maxillofacial tissues using biocompatible substitutes. Most dentists are not trained prosthodontic graduates of a dental school – rather they take short continuing education and utilize trial and error experience to be able to understand how size, shape, color and symmetry all work together to create what a prosthodontists is trained in their post graduate work. On the other hand, the prosthodontist is trained at a university to create the smile that implements the use of veneers, crowns, bridges and the increasingly more common procedure of dental implants to ensure that the right smile is achieved, both functionally and aesthetically beautiful. If anyone has a specialty in cosmetic dentistry, it would be the prosthodontist. So when you are seriously looking for a cosmetic dentist look for a prosthodontist. Finally, technology often comes into play with veneers which are made up of a special material and again while technique sensitive are very easy to incorporate into timely and favorable results. 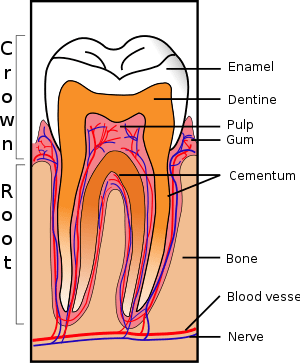 The combination of all of these techniques rest comfortably within the purview of a prosthodontist’s training and expertise. A comprehensive approach by a prosthodontist is the best way to get your inner confidence boosted and your personality improved. Atlanta Dentist Novy Scheinfeld is a Prosthodontist. 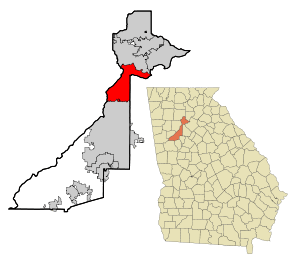 Atlanta Dentist – Why Conserve Water When Brushing? It makes cents. If you can’t be motivated by being green, then look at the dollars. 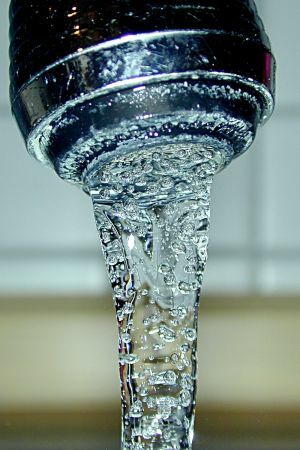 The average cost of water is $0.005/gallon. So if a single person uses 13,000 gallons of water a year to brush their teeth, this costs $65/year for 1 person to brush their teeth. So take $65 and multiply this by how many people live in your home and you will see how much water is costing you just for you to keep your teeth healthy. And this doesn’t even count that most jurisdictions charge 1 to 4x for the cost of sewer’ing the water. Prosthodontics: (crown, bridge, and implants) A Prosthodontist has a dental specialty license pertaining to the diagnosis, treatment planning, rehabilitation and maintenance of the oral function, comfort, appearance and health of patients with clinical conditions associated with missing or deficient teeth and/or oral and maxillofacial tissues using biocompatible substitutes. Most dentists are not trained prosthodontic graduates of a dental school – rather they take short continuing education and utilize trial and error experience to be able to understand how size, shape, color and symmetry all work together to create what a prosthodontist is trained in their post graduate work. Contrary to this hit or miss self-anointment, the prosthodontist is trained at an ADA approved university to create the smile that implements the use of veneers, crowns, bridges and the increasingly more common procedure of dental implants to ensure that the right smile is achieved, both functionally and aesthetically. If anyone has a specialty in cosmetic dentistry or the right to call themselves a ‘cosmetic dentist’, it would be the ADA sanctioned prosthodontist. Of the 170 thousand dentists in the U.S., less than two (2%) percent are trained prosthodontists. So when you are seriously looking for a cosmetic dentist, look for a prosthodontist. Dr. Scheinfeld received her prosthodontics degree from Emory University School of Dentistry in 1988. Her prosthodontics’ instructor Dr. E. Neal Kopp practiced with her for 14 years until his death in 2008. In addition, Dr. Sidney Tourial, an adjunct Emory Prosthodontic professor and next year’s GDA President has been in the practice for over 18 years.